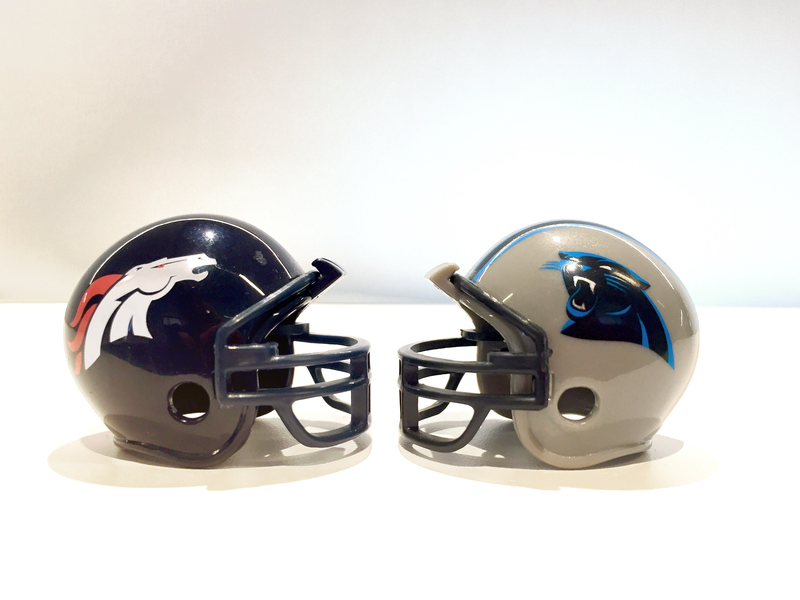 For millions of sports fans, this weekend’s Super Bowl 50 marks the marquee event of the year. What was once a game attended by 61,000 and viewed by 60 million, see stats in our previous post, has grown to more than 160 million viewers (Source: NFL, based on Nielsen Company figures). The popularity is reflected in the increase in ticket prices for attending the event as well, which were $12 for Super Bowl I and reached a $2,500 maximum face value during last year’s championship. This year’s matchup should be one for the ages with Peyton Manning leading the Denver Broncos against the Carolina Panthers and their superstar quarterback Cam Newton. For the Broncos it will be the franchise’s eighth appearance compared to the second time for the Panthers who came up three points shy of beating the Patriots in Super Bowl XXXVIII (2004). Whether you’re attending the contest at Santa Clara, California’s Levi’s Stadium or not, there’s no denying the mountain of details that are put into the event every year. From the weeklong build-up and pageantry leading to the actual game to the halftime show – this year featuring Coldplay and Beyoncé – to the final trophy presentation, it’s all spectacular all of the time. Though the game itself has grown in popularity, today’s Super Bowl extravaganza goes way beyond two teams vying for a chance to be crowned champ. Every year even those not interested in the main event happening on the field can marvel at the cash and creativity that companies put into dueling each other for who can create the top spot of spots. Being in the auto finance business, we’re naturally interested in the types of vehicle-based commercials that will run this year. So far, it appears that we’ll see brands such as Kia Motors with an ad starring Christopher Walken, MINI USA and its “Defy Labels” campaign, as well as airtime from Honda, Audi, Hyundai, Acura and Toyota according to Advertising Week. Looking back over the past few years, the auto industry has been the buzz of the ball with some of the best Super Bowl commercials including the Mercedes-Benz animated rabbit vs. hare “Fable” (2015), Ram’s “Farmer” (2013), Chrysler’s “It’s Halftime in America” (2012), Volkswagen’s “The Force” (2011), and the Ferris Bueller redo featuring the Honda CR-V (2012). Keep up with the latest on this year’s players over at Ad Week’s Super Bowl Ad Tracker or visit this site dedicated to Super Bowl commercials. If you’ve ever been to, or thrown, a Super Bowl party, you know that a crucial element of the whole experience is the food. Classics of these gatherings include chips and dips, meatballs, chicken wings, mini hot dogs and sliders. But according to sites dedicated to snacks for the big game, such as the Food Network, today’s foodies are taking it up several notches with homemade soft pretzels, lasagna cupcakes, bacon-wrapped scallops with spicy mayo and smoked gouda-chorizo jalapeño poppers. Just don’t forget to wear your “comfortable” pants with the expandable waistband. For more football foodie tips, check out our “Top 10 playmakers for your tailgate party” infographic. No matter the final score of the competition, over its 50 years in existence, there’s little argument that the Super Bowl has grown into a celebratory experience for even non-sports enthusiasts. Here’s to hoping for a good game and fun-filled Super Bowl 2016.